Have we reached the limits of mobile innovation? Despite a flurry of new phone handset launches during Mobile World Congress, we may have already optimised smartphone design, MediaCom's global head of mobile explains. A visit to Mobile World Congress follows a set pattern. And the most important part of the routine is the first day of the show when the new phones are launched. This year was no exception with Samsung, Sony and Nokia all making a pitch for your next contract. Differentiation is a challenge in the Android market, where much of the software in the phone is identical and provided by Google. And increasingly the look of the latest phones is very similar. With screens that run to the edge of the device, in normal and plus sizes, the differentiation is often only in the photography skills (although most now have dual cameras on the back) or the addition of iris, facial or finger print recognition technologies for security reassurance. Sony’s new Xperia XZ2 and XZ2 Compact comes with slow motion capabilities and better video handling capability, all captured on full 4K HD. The precision screen is a nod to those of us watching more TV shows on our phones. Samsung’s new S9 provides, among other things, AR emojis and avatars similar to those offered by Apple’s iPhone X. That at least will help parents communicate with their teenage children. Nokia’s solution to all this has been to go retro and, as last year, it’s mining its history to recreate the successes of yesteryear. This year’s model, which has successfully attracted global PR, has been to recreate the 8110, better known as the phone from the Matrix, in banana yellow. Except that at approximately £70 for a handset, it’s now almost the same price as the cheapest Android powered smartphone. Fortunately, Nokia also offers that, its new Nokia 1 is being touted as a transition phone for those making the move from a basic feature phone to a smartphone in emerging markets and will cost just over £60 when it launches in April. The future, however, may involve us spending less time looking at our identikit handsets because we won’t need to. At this year’s MWC, Superhuman is talking – seriously – about a chipset that can be inserted into our brains. Sony has a more elegant solution with the launch of a format that it first showcased back in 2016. The new Xperia Ear Duo can rely on movement for its commands. A nod of the head would accept or deny calls and shaking your head left or right can skip songs. For those who want old-fashioned voice control, the Ear Duo also accepts commands via Siri and Google Assistant. Devices like this illustrate how much our intuitive control of digital devices could evolve beyond touchscreen interfaces. Such ideas are an illustration of the fact that much of the apparent innovation has moved beyond the handset into the back office of AI and into new forms of connected devices. This is clearly demonstrated by the AI capabilities of this new generation of handsets. Among other things, they offer rapid QR code recognition that are native to the phone and its photography app, taking away the need for consumers to download and install an app. The focus is on making the consumer behaviour as simple as possible to there are no barriers to as many of the functions that our handheld supercomputers can now provide. One issue, however, that doesn’t appear to have been solved since last year’s Mobile World Congress is the vexed issue of battery life. Every year brands tout smarter and slimmer phones that look fantastic but offer the same six to eight hours of work capacity. Many of the executives in Barcelona – myself included – will have the latest handsets as well as an expensive and heavy battery pack to ensure their device lasts all day. 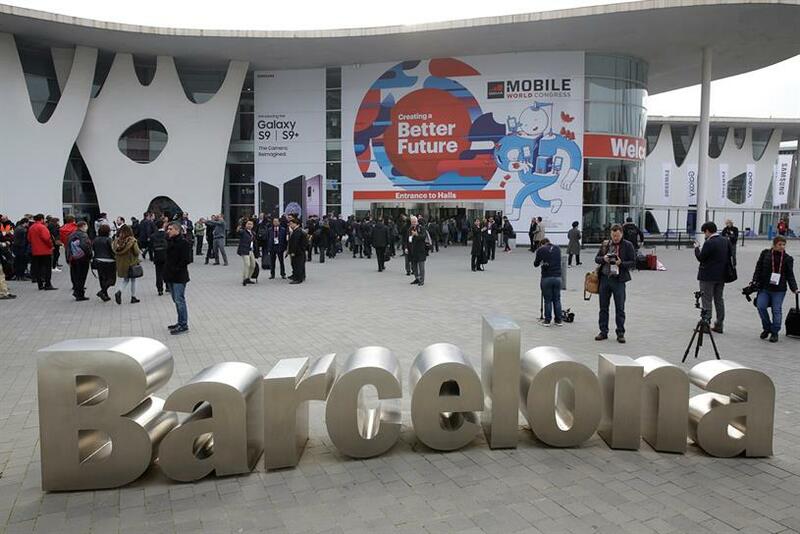 What trends should marketers watch out for at Mobile World Congress?